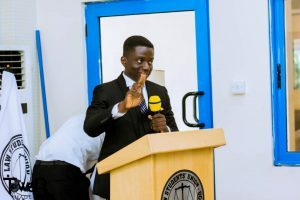 Information picked by Ghanacrusader.com indicated that, vigilante groups affiliated to the governing New Patriotic Party, Invisible Forces have allegedly stormed the congress ground of the University Students Association of Ghana USAG to disrupt an ongoing election process. 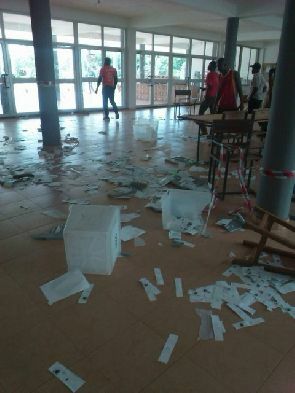 According to sources at University for Development Studies, UDS in Tamale where the congress is currently ongoing, the NPP thugs destroyed ballot papers while counting of ballot papers were ongoing early Friday dawn August 25. A delegate at the congress who wants to remain anonymous told Ghanacrusader.com that the USAG president Emmanuel Frimpong engaged the services of the members of the invincible forces to provide security for the USAG congress but failed to settle their outstanding arrears resulting in the vandalism. 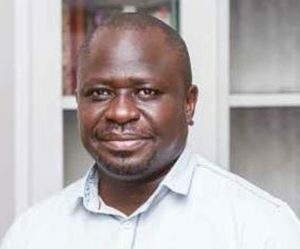 He told Ghanacrusader.com that ‘’While counting was ongoing macho men who are members of the Invincible Forces came to destroy everything including ballot boxes and papers’’. ‘’The treasurer told me they charged ‘’ GHC 2,000 but she bargained and gave them GHC 1,500.00. So it’s not true they were not paid’’. He added. Currently all delegates have returned to their various institutions without electing a new set of leaders to take over the mantle of leadership for the next academic year. It is expected that the outgoing executives will call for an emergency congress to elect new USAG executives. 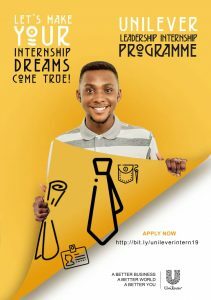 The umbrella body for the University students in Ghana is yet to officially issue a statement on the development.